So I do apologize for this not being the traditional recap article, but to be honest not a ton happened. A decent portion of the first 10 or 15 minutes of this episode seemed to just be the scene from Arrow where he first appeared (minus Felicity Smoak, sadly). Barry is struck by lightning, and survives, acquiring super speed abilities. 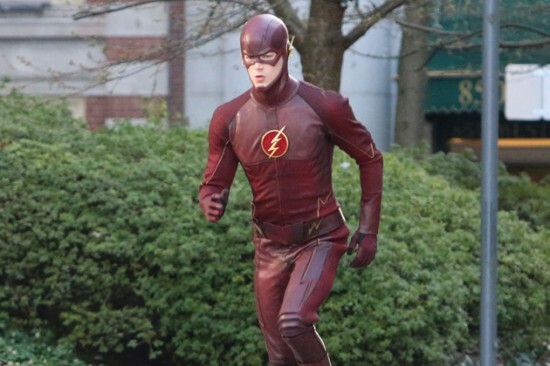 Some workers at Star Labs make him a fancy suit. We find out the guy from Ed isn’t actually handicapped, and Barry cries with his dad in jail as Barry vows to set him free (Barry’s dad is in jail for murdering Barry’s mother, even though they both know that isn’t true. It was a lightning monster). While I have been known to say that Arrow plays a bit at times like a comic show for guys and girls (action for the guys, and love stories/family drama for the girls), this one didn’t seem to have enough substance on either side. I’m hoping that the action picks up in the second episode. I usually don’t throw a show away after one episode (one exception being Bates Motel – the characters just annoyed me), so I’ll pick up the remote next week and give this another whirl. Now that his story has been told, maybe the action can begin.